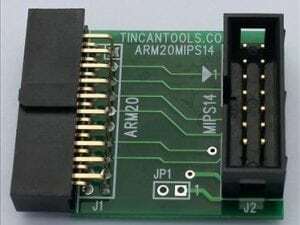 The BeagleBone Black comes from the factory without its JTAG connector installed. 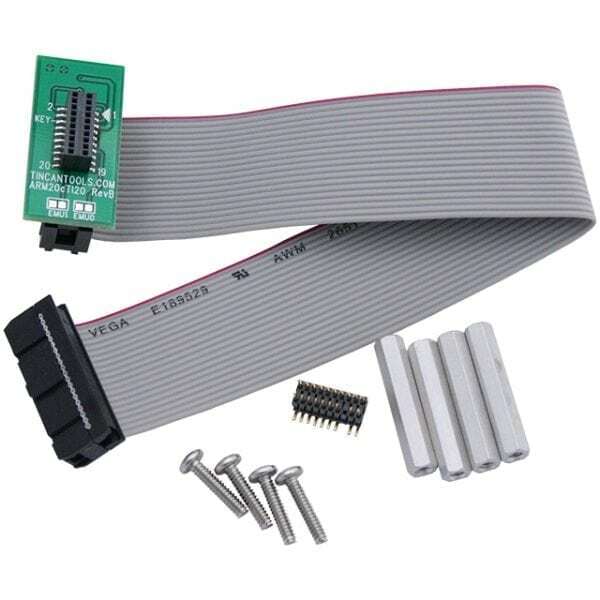 This kit provides all of the hardware you need (except solder and soldering iron) to add a cTI 20-pin JTAG connector to the BeagleBone Black. 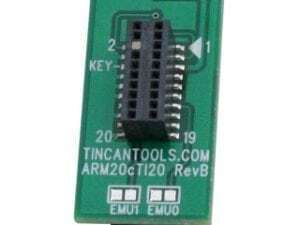 The kits also includes the ARM20cTI20 JTAG Adapter Board that converts the BeagleBone Black’s cTI 20-pin JTAG interface into a standard ARM 20-pin JTAG interface. You can them connect the Flyswatter2 directly to the BeagleBone Black’s JTAG interface. 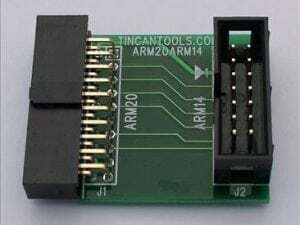 The ARM20cTI20JTAG Adapter board is designed to work with the Flyswatter2 (it does not work with the original Flyswatter). This kit requires you to hand solder the cTI 20-pin male header onto the back of the BeagleBone Black board. The solder and soldering iron are not included in this kit.